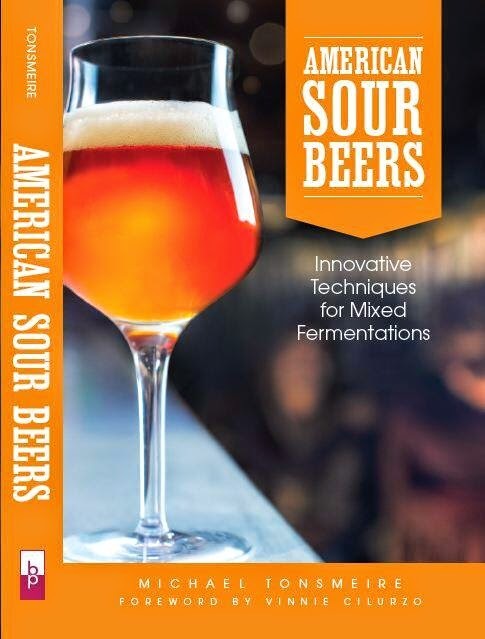 The book (originally codenamed Mad Fermentation, now officially American Sour Beer: Innovative Techniques for Mixed Fermentations) that I’ve been researching and writing for more than three years is available for pre-order! Not exactly breaking news considering it has been listed online since October... but I’d been reluctant to spread the word too much because the cover is a stand-in (the actual one has been mocked-up, but not shot) and the listed release date is overly optimistic (the current projection is May/June). Tweets/links/posts started flying on Friday about the release, so I decided it was time to loop everyone in. Sunday ASB briefly peaked at #373 on Amazon (not bad out of over 8,000,000 books – top .005%). 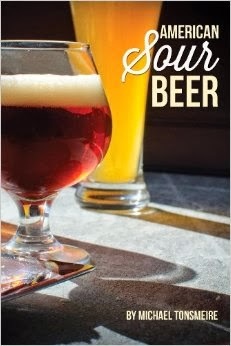 It’s also been battling How to Brew for the #1 spot on their beer books list (a testament to the lasting popularity of the book that taught me the basics). Last night Charlie Papazian randomly (no kidding) showed up at the DC Homebrewers meeting at Bluejacket, I took the opportunity to razz the president of the Brewers Association about my momentary lead over Joy of Homebrewing. As the release date draws closer, the blog will be getting some trimmings that didn’t make the final cut (e.g., kvass, gruit, saison, pairing etc.) as well as some online appendices (commercial microbe descriptions and viable bottle dregs) that I will continue to update. I’m really happy with the way all 400 pages of what remained is coming along! The copy editor is about half-way through his review, with a goal of being completely finished in a week or so. From there it’ll be a jump to layout, graphics, indexing, final review etc. Excited to read the forward as well, and odds are you will be too when you hear who’s writing it! So order now, or wait for the AHA pre-sale (about two weeks before the release) or the ebook (which is coming eventually) if you’d prefer! You’ll be sick of me soon enough. I’ve got articles for BYO (solera-style blending) and Zymurgy (mashing sour beers) in the works, plus I’ll be at NHC Grand Rapids (hopefully presenting) and later GABF this fall! You’ll start seeing ads in the brewing magazines in a couple months, and I’m sure I’ll be making the rounds on the homwbrewing-podcast-circuit. In the meantime, please tell your brew-buddies about the book, post it to your homebrew club’s discussion forum, name your first-born after it etc. Any added publicity would be greatly appreciated! I'm very excited for this to be officially released! My inlaws pre-ordered it for me for X-mas, so I have quite a wait ahead of me. Congrats on all the success so far! Any plans for book signing events? Don't want to preorder a plain book if I might be able to get a sweet signed version. Nice. I'll probably wait for the aha preorder but glad to hear it is shaping up. Might try to make it to NHC this year as well. No plans for an official sale of signed books, but I'm sure they'll have me signing them in person at GABF etc. Going to go with either Vinnie Cilurzo, Tomme Arthur, or Rob Tod for the forward. Hoping for Vinnie! Congrats!! I just placed my pre-order. Looking forward to reading it. Pre-order is in! Can't wait for this! ABOUT tricking TIME! Looking forward to it. Nice Job Mike! I just pre ordered one for myself and one for my brother. I'm really looking forward to this one. I can't believe the saison chapter was cut... don't they know who you are?!?! Already ordered a few copies! Thanks again for all the wisdom throughout the years and being so available and personable as well. Looking forward to the release. Keep up the great work! This is great news! Going to pre-order a copy.